Turkish court has rejected another appeal to free United States pastor Andrew Brunson, whose detention has sparked a major crisis in Ankara's ties with Washington. A Turkish court on Friday rejected another appeal to free US pastor Andrew Brunson, whose detention has sparked a major crisis in Ankara's ties with Washington, his lawyer said. Brunson, who was detained in October 2016 on terror and espionage charges, faces 35 years in jail if convicted. Late last month, he was moved from prison to house arrest for health reasons. 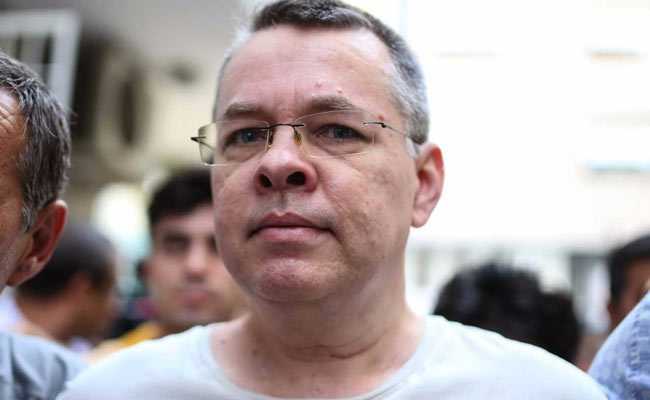 The pastor's detention has soured Ankara's relations with Washington, with US President Donald Trump threatening more punitive action unless Brunson is released. Last week, Trump said he had doubled the tariffs on aluminium and steel from Turkey, sending the Turkish currency into free fall. On Thursday, Trump described the Protestant clergyman, who runs a small church in the western city of Izmir, as a "great patriot", saying he was being held "hostage."